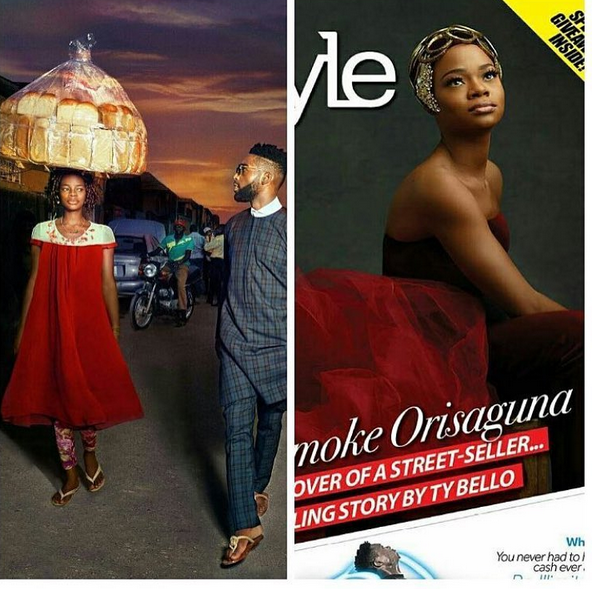 #WCW #Olajumoke This woman went from Photobombing my photoshoot in Lagos for @thisdaystyle to landing her own Modelling contract! 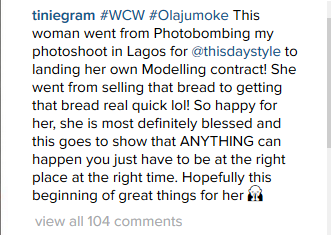 She went from selling that bread to getting that bread real quick lol! So happy for her, she is most definitely blessed and this goes to show that ANYTHING can happen you just have to be at the right place at the right time. Hopefully this beginning of great things for her"
This kind of grace eh! God is alive..